Moscow. Russia - November, 2018. St. Basil's cathedral at Red square. hd00:10MOSCOW - JULY 8: Panoramic view of Saint Basil's Cathedral, Red Square and Spasskaya Tower on July 8, 2010 in Moscow, Russia. 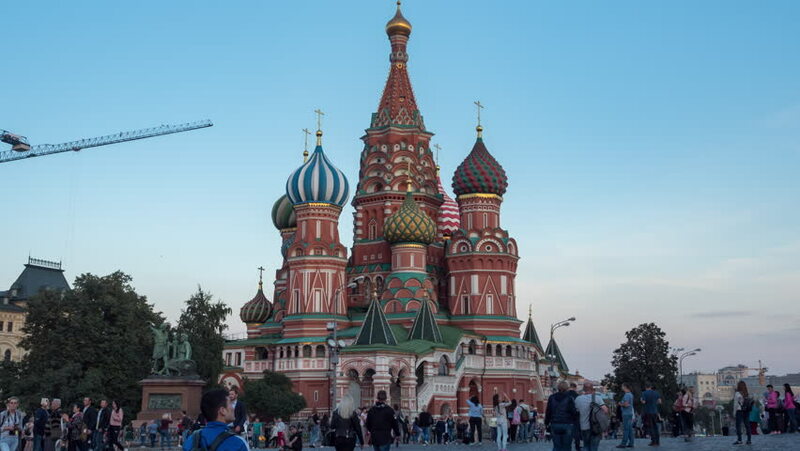 Saint Basil's Cathedral has been part of the Moscow Kremlin and Red Square UNESCO World Heritage Site since 1990. 4k00:09Moscow city. Saint Basil's (Resurrection) Cathedral. Red Square. People passing by. 4K timelapse. Dramatic clouds.